Specifically, people who suffer from this disorder fear that they may get embarrassed in front of other people. Therefore, they tend to think that others are better at public speaking, or hanging out with others at social events like parties. Consequently, they focus on every small mistake they might commit while in front of others, and they might even blow them out of proportion in their imagination. To a person with social phobia, a simple activity like blushing in front of someone may seem very embarrassing, so they will imagine how all eyes are focusing on them. These people also tend to have specific fears, such as taking part in a public speaking activity, or even raising a concern with their boss at work. However, sometimes it’s simply a generalized fear, such as that of speaking in public, especially when it involves addressing strangers. It’s very common for people to confuse shyness with social phobia. Well, in some rare situations, the person suffering from this disorder may be scared of eating out, using a public restroom, or even speaking on the phone when others are present. Therefore, even though people tend to confuse this disorder with shyness, the two conditions are not the same. Even though individuals who are shy may be uneasy when around others, they don’t experience the extreme fears faced by people who suffer from social anxiety disorder. To make it clear, individuals who are shy don’t always avoid social situations as much as someone with social phobia does. In fact, those with social phobia may not be shy at all. Their fears are based on certain situations, such as walking down the aisle in front of a large audience or speaking in public. Such conditions give them intense fear as opposed to just being around people. Therefore, social anxiety can disrupt one’s career, their social relationship, and even an ordinary life. In fact, they may undergo a considerable amount of frustration before facing their fears. If there’s a chance to avoid it, they will do their best to avoid the feared situation. And even though they may face the feared situation, they will feel extremely anxious beforehand, so they may not relax throughout the situation. Even afterward, the unpleasant feeling will linger in their minds, as they wonder what others might have seen in them, thought about them or even said about them. 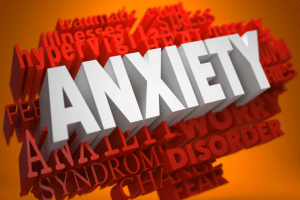 Now we have it that by just getting a little bit nervous in a social situation doesn’t necessarily mean that you’re suffering from social anxiety. In fact, many people will be self-conscious about themselves, but they don’t let it get in their way, to the extent of disrupting their daily activities. On the other hand, social anxiety interferes with one’s daily activity, plus it causes a lot of stress. For instance, people who are not used to speaking in public may get the jitters just before the speech. However, if they are suffering from social anxiety symptoms, they will begin worrying weeks ahead of time. They might even call in to pretend they are sick, and that they won’t make it. But even if they make it, they will get so nervous during the speech, to the point of shaking and unable to continue with the speech. There’s nothing wrong when a child is shy. However, children who suffer from a social phobia will experience extreme distress over daily activities such as playing with age-mates, speaking to adults, reading in class, performing in front of others, taking tests, etc. These kids might not even want to go to school in the first place. In the US, it is considered the second most common type of disorder after specific phobias. It is also seen as the third most common mental disorder in people who live in the US, coming after depression and alcohol abuse. Even though it can occur in adulthood, it mostly manifests in adolescent or early adulthood stage. It is also more commonly experienced in women than men. Furthermore, people who suffer from this disorder will admit that they are experiencing extreme disorder and unreasonable fears. However, this feature may not be available in children. Social anxiety symptoms present themselves in the same way across all types of people. However, treatment is available in the form of self-help or seeking professional treatment in the shape of therapy. Therefore, if you’re suffering from this situation, you should not hold back but seek treatment as soon as possible.